Fixed and Floating: Which line is the longest? It's clearly the blue line. Can't you see it? Look harder. And listen to Bob. He's saying it's the blue line. So is Fred. And Bill, and George. They're all saying it's the blue line. Look at John over there! He's shouting that it's the blue line! You'd be a fool not to trust John. Still not seeing it? Neither am I. But this is what the election feels like. If enough people are telling you something, even if the evidence clearly contradicts it, you start to believe it. The last three polls all put National at or above 50%. In the - what? - nine-party system we have in New Zealand, it's quite remarkable that half the voting population want to plump for one party. Or, more accurately, one man. What do they see in him? Don't get me wrong. I don't think John Key or the National Party are bad. And I don't think National will really get 50% (there are a bunch of issues with polls that I won't go into now). But for a party to be so popular after six years in power is puzzling, especially in light of recent economic data and the Dirty Politics fiasco. I've been thinking about the ad that comes on TV encouraging us to vote. "Your vote is worth exactly the same as mine." They couldn't run that ad in the UK, because that statement would be blatantly untrue there. Under first-past-the-post, some votes are considerably more important than others. I don't know about you, but I reckon that a system in which some votes count more than others has serious problems. MMP has its flaws, but it's actually a pretty good system. As Grant Smithies put it in this article, under MMP your vote can cancel out someone else's, even if you live at opposite ends of the country. I happen to agree with just about all his reasons not to vote National, even if I think I'm closer to the centre of the political spectrum than he is (I'm actually fairly right-wing when it comes to immigration and law and order). Also, I make no apologies for thinking about me. My depression has been less of a problem since I came off the antidepressants (!) but I'm not naive enough to think it won't come back. And when it does, I believe I'll be better served by a government that doesn't include National. 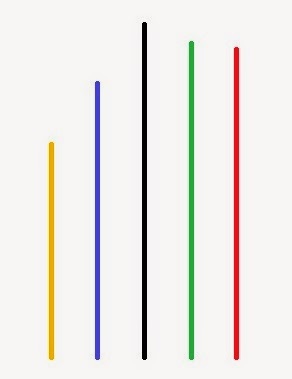 The black line is the longest in the diagram purely by chance. I won't be voting for Winston, even if I think he's a lot less awful than in previous election campaigns. My flatmate might well vote for him however. I see iPredict are giving National roughly a 75% chance of forming the next government. I think it's a bit higher than that, somewhere in the low eighties. Monday's shooting at the Ashburton WINZ branch was horrific and the last thing anyone could have expected to happen there. Two good people, just doing their jobs. My parents don't live too far from Ashburton; on Tuesday they met a man who used to work with the alleged murderer. The shooting seemed to set off a spate of incidents up and down the country, and for a while all the WINZ offices in Canterbury were closed. It only takes one unhinged person to completely wreck whole families and communities, and that person can turn up anywhere. It's been a horrible wet Saturday. Wet weekends have gone from being mildly frustrating to utterly maddening.